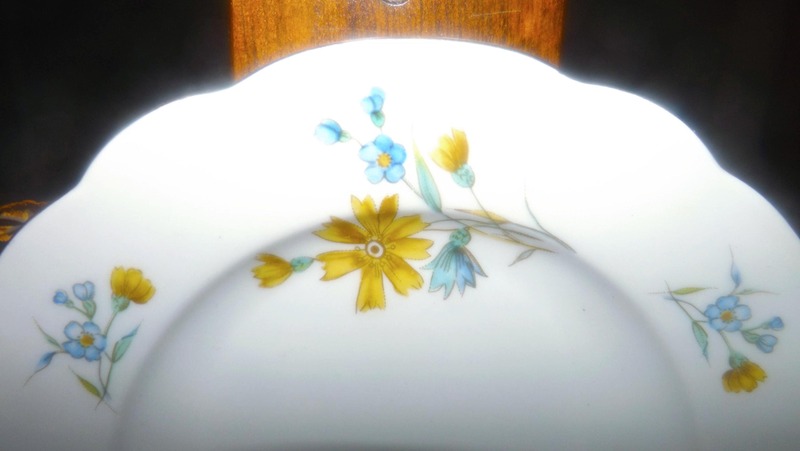 Vintage (1970s) Cmielow Poland bread-and-butter, dessert, or side plate. 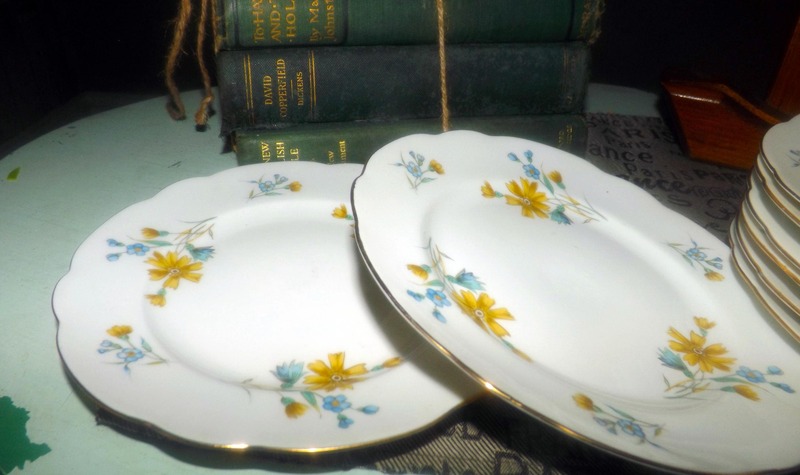 Blue, yellow flowers, scalloped, gold edge. 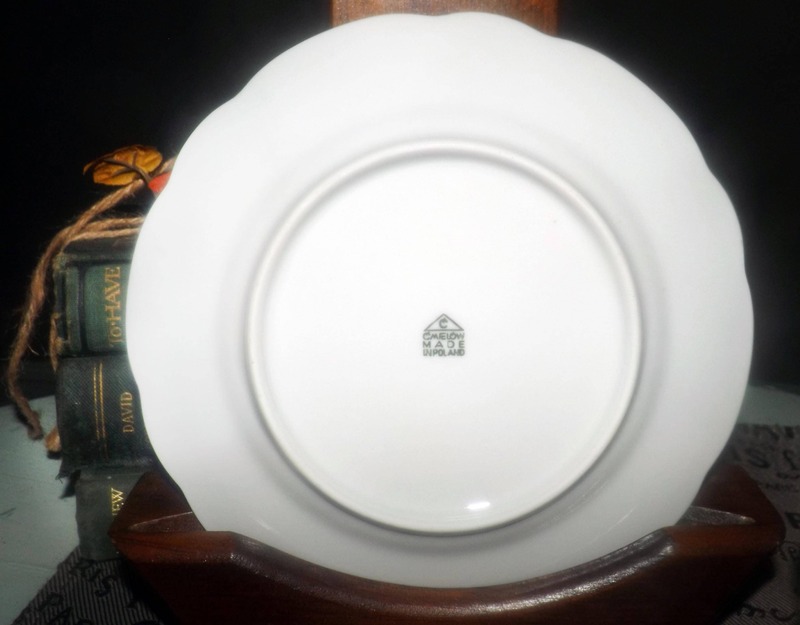 Vintage (1960s | 1970s) Cmielow Poland bread-and-butter, dessert, or side plate. 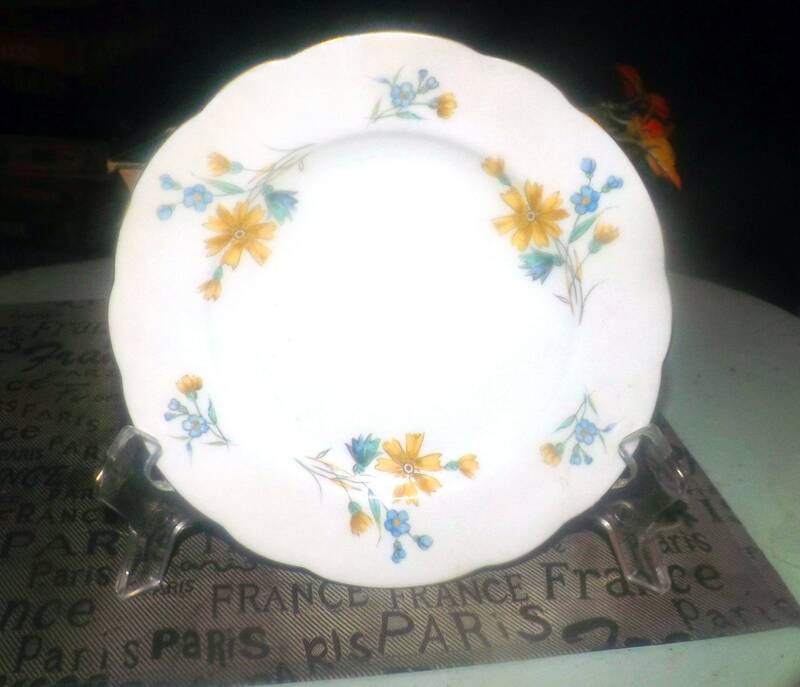 An as-yet unidentified Cmielow pattern featuring blue and yellow dragon flowers about a scalloped, gold edge. In EXCELLENT! and seemingly unused condition with NO! chips, nicks, cracks or fleabites, NO! loss to the scalloped, gold edge, NO! crazing and NO! 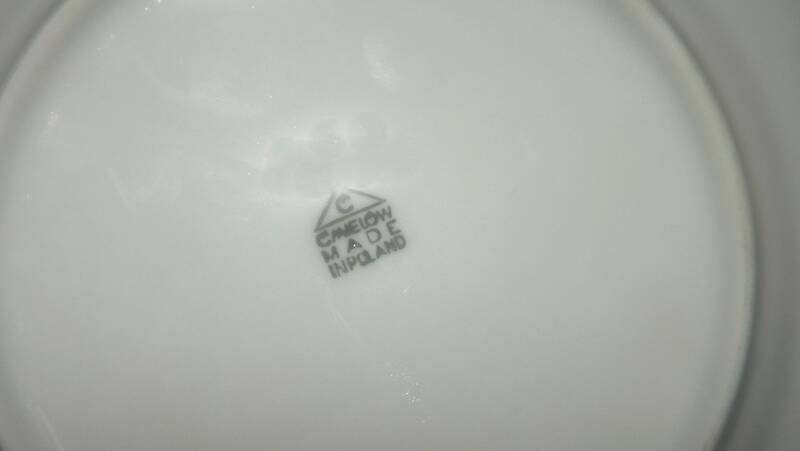 marks, stains, scratches or other signs of use or wear. The blue and yellow florals are bright and vibrant with NO! fading apparent. 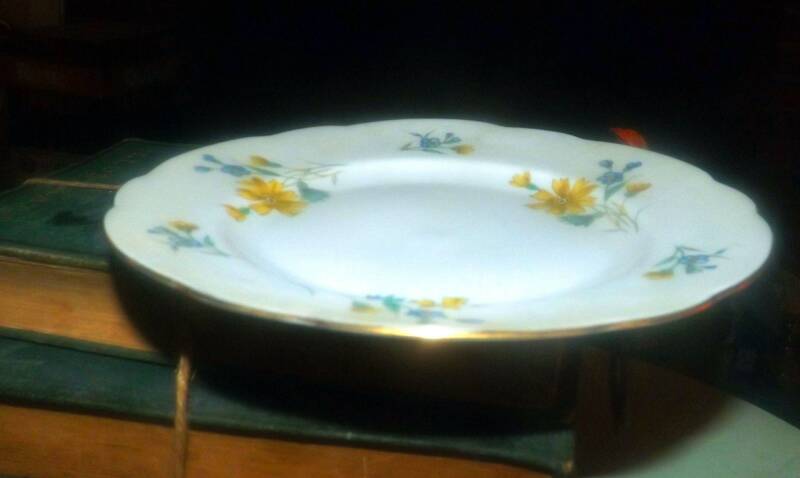 Approximate measurements: 8" in diameter with a slightly coupe shape and a scalloped, gold edge.